There is an increasing volume of research being conducted about Vitamin D and sunlight as scientists discover more and more about the amazing health qualities to be found in Vitamin D.
The optimum source of Vitamin D for humans is believed to be sunlight and what's more, its absolutely free! No prescription required. Maybe this explains a bit about why it's remained relatively unknown or under-researched for so long, as the big pharmaceuticals can't sell sunlight to us. However, they can sell sunscreen, and so for a few decades now we have all been told to avoid this wonderful resource of health and block out the sun's rays. But it's not all as easy as just stopping the use of sunscreens and exposing yourself to the sun's rays to take advantage of this valuable nutrient. There is far more to it than that and the following highlights some of the truths around Vitamin D and sunlight and our health. It is impossible to generate too much vitamin D in your body from sunlight exposure. Your body will self-regulate and only generate what it needs. Overdoing the sunlight exposure results in sunburn, which is your natural body's mechanism to tell you to stop and obviously not a good idea! 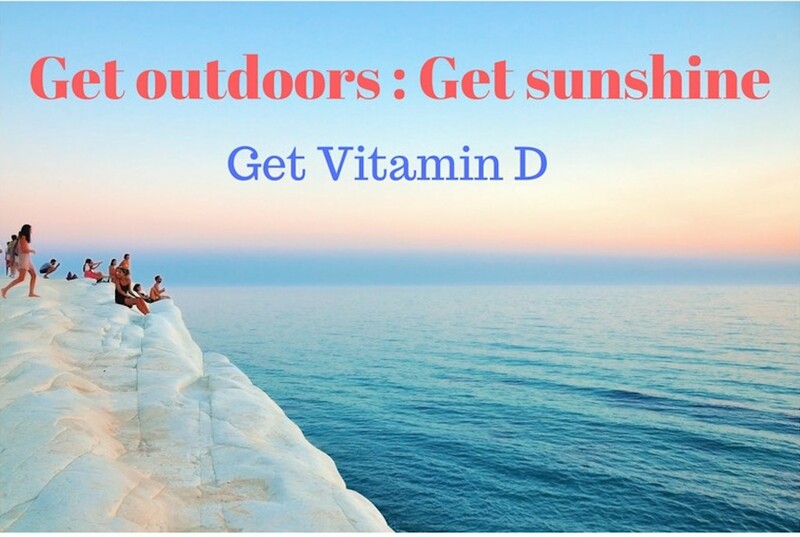 So get outdoors for vitamin D and sunlight benefits! So if sunlight exposure is really one of the most powerful healing therapies available to us in the world today, it must also be said that sensible exposure to natural sunlight can be one of the simplest, easiest and yet very important part of improving your health. 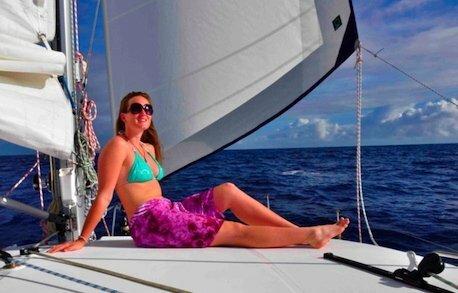 How beautiful that we can get to enjoy that feel-good sunshine 'pill' in the outdoors and not have to take drugs, undergo surgery or subject our body to immune suppressing chemical treatments! And of course vitamin D and sunlight are free of charge.